The 61-plate has just arrived, and with it a rush to get a brand new car. But if you’re looking to change your car and you’re not seeking brand new wheels then now is a good time to look. To help you select a good value used car we’ve browsed our classifieds and selected ten of the best cars in a number of different classes. It’s easy to recommend the latest generation 5 Series, thanks to its blend of dynamic drive, performance, economy and luxury. New prices start at £29,430 for the 520d SE, but if you look in our used cars section you’ll find recent, low mileage examples with a decent level of extra equipment from £27,000. There are even bigger savings on higher end models. The Qashqai set the crossover ball rolling when it was launched in 2007, and since then it has been a best seller. If you’re after a 61-plate example then list prices start at £16,495 for the 1.6 Visia. However, if you’re willing to buy used you can save a substantial amount - £10,500 will land you a higher mileage 2010 model, but a few hundred pounds more will get you a fairly recent low mileage model with some options boxes ticked. The Mondeo is an extremely popular car, with fleet operators buying hundreds for company car drivers and motorway mile munching sales people. That success isn’t undeserved, the Mondeo is an accomplished vehicle. Thanks to its popularity there are a huge number available on the used markets, and thanks to a recent mid-life facelift, some of the slightly older models can be bought for very little. We found a higher mileage 1.8 TDCi Edge on a 10-plate for less than £10,000 – new it would have cost around twice that. A car that has remained extremely popular on honestjohn.co.uk since it was launched, the Yeti is often searched for by our readers, and buying new means a long wait because of its popularity. Because of that you can’t expect huge reductions when it comes to buying a used example, but it does allow you to skip the waiting list. We found a recent 11-plate SE trim model with just £2,800 miles on the clock for £2,000 less than its new list price. 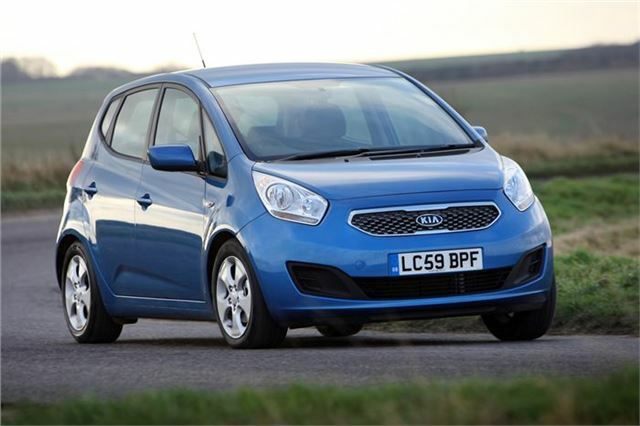 Sporty and nimble, the Swift is popular with younger buyers thanks to its sharp styling and enjoyable drive. It’ll be even more popular at a knock down price – an SZ2 model would have cost £10,210 new, but 4,734 miles later a 60-plate new shape model will set you back less than £7,000 if you look hard. SZ2 models come with various electrically operated bits, air-con and a USB/ Aux-in port for listening to music. The new shape Astra has a lot more going for it than the older model did. It’s improved in absolutely every area, from styling to performance, and from quality to economy, and yet you can get one-year-old models for less than £10,000. That’s about the same cost as an average new car from the class below. With a well proven rally pedigree, savage performance and four-wheel drive grip, the Lancer Evo is something of a legend, yet the latest generation is likely to be the last. Mitsubishi is pursuing cleaner, greener, more fuel efficient vehicles, and the Evo’s 26.2mpg combined cycle figure is hardly impressive. £29,699 will buy you a brand new Evo X FQ300, but if you let someone else run the engine in for you it’ll set you back more like £25,000, as the 3,000 mile 11-plate model we found proves. The Venga manages to be spacious yet compact, and it represents good value for money even when new, thanks to competitive, if not cheap pricing and generous standard equipment. The ‘1’ trim level costs £11,995 new, but you can get an 11-plate model with just over 1,000 miles for a very reasonable £8,999. For more details on all of the cars in this top ten, or for any other used car bargains, visit our used car search page. reputation of the car dealer, be it a company or a private seller.